This year, Bonhomme will be busier than usual, because in addition to serving as winter ambassador, he will be leaving his bachelor days behind and getting married. With his beautiful red hat, chubby cheeks and boundless enthusiasm, Bonhomme Carnival is the internationally known face of Quebec's Winter Carnival. This year, Bonhomme will be busier than usual, because in addition to serving as winter ambassador, he will be leaving his bachelor days behind and getting married. 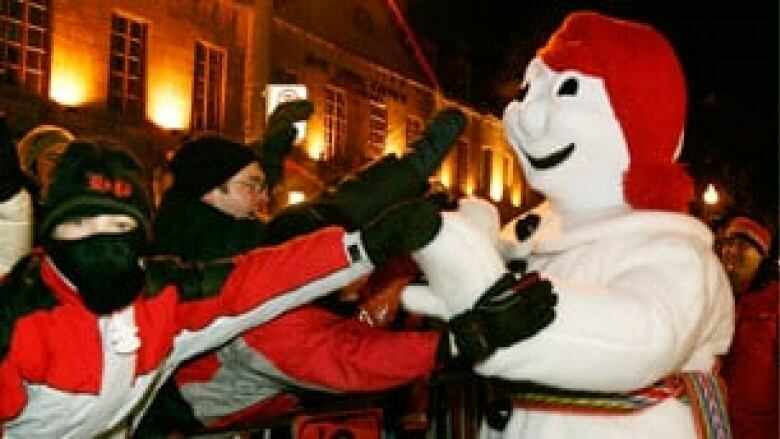 In his interview with This is That, Carnival spokesperson Bertrand Trembly announced that this February, Bonhomme will marry a snowman from Gatineau named Gary. "We are thrilled that Bonhomme has met someone to spend the rest of his life with," said Trembly. "Gary is a perfect match. He understands that marrying a snowman of Bonhomme's celebrity will be challenging, but he is very excited to support his husband." Listen to learn more about their wedding and what their marriage will mean for the people of Quebec.